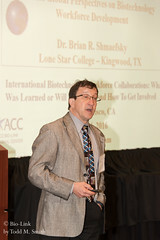 Funding from the National Science Foundation's Advanced Technology Education program allowed teachers to learn about this new area through workshops last summer at Alamance Community College, Austin Community College (ACC), and Bluegrass Community and Technical College (BCTC). Are you interested in seeing the inside of a lab but don’t know anyone who could get you inside one? Amgen’s Virtual Lab can give you a fascinating look into what goes on in a production laboratory. 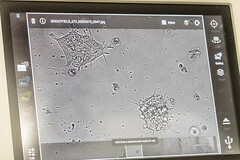 The website walks the viewer through the process of Gene to Medicine with a mixture of: 1) videos of actual Amgen employees, 2) descriptions of the step being viewed, and 3) pictures of the equipment and processes being described. Cell culture, protein recovery and purification, and finally formulation to distribution are described with plenty of real world details. Assignment begins January 2017 Online applications must be received by Friday, October 7th 2016. 2 years ago ago by Bio-Link. If you end up with spare time this summer, or you need a book for an airplane ride, the National Academies Press has published three books of interest to the Bio-Link community. The paperback copies of the books are between 40 and $100, but the PDFs are free. I like to download the PDFs and read them on my iPad in apps like iBooks or iAnnotate, so I can highlight passages and find them later. The Advanced Technological Education program at the National Science Foundation supports the development of innovative approaches for educating highly skilled technicians in economically-important industries. In 2014, over 114,000 students were enrolled in ATE programs and over 45,830 educators participated in ATE-funded professional development activities. After two years of attending the Worthington Bio Conference, I am convinced it is one of the most enjoyable experiences of my post-teaching career. There are such interesting presentations at this conference and it is truly amazing that such a small town can make such a huge impact on the local economy. Here are some of the highlights of this year’s conference. A few members of the Bio-Link leadership team. Salary Data--How much does a degree help you?